New Orleans, LA, has spent the last decade recovering from Hurricane Katrina. In a city of close-knit neighborhoods, part of that recovery included the addition of over 100 miles of bike lanes around local schools. This success was driven by the KidsWalk Coalition and its commitment to strategic communication and a culture of learning. New Orleans, the largest city in Louisiana, is still recovering from the devastation caused by Hurricane Katrina in 2005. In a city that had already been facing a number of health concerns, including high rates of childhood obesity, the storm amplified those issues. By 2009, infrastructure damage and population displacement still presented challenges to rebuilding the city, but also opportunities to do so in a way that would support healthy eating and active living. With support from a Healthy Kids, Healthy Communities (HKHC) grant, the Tulane University Prevention Research Center (Tulane PRC) established the KidsWalk Coalition to improve pedestrian and bicycle infrastructure and make walking and bicycling a safe option for children and families. Understanding the context of relationships within the city would be vital to achieving this aim. Naomi Doerner, then Transportation Planner for the New Orleans HKHC partnership, explained, “New Orleans is a city of neighborhoods—a city of people who, in many cases, have known one another for generations upon generations.” In order to build community buy-in for the work, the coalition knew that they needed a way to understand each of those neighborhoods. Tulane PRC staff wanted to ensure that the influx of HKHC funding would leverage walking and biking, dovetail with FEMA recovery funding for new infrastructure, and evaluate improvements to transportation, which was one of the city’s highest post-Katrina priorities. As researchers, the staff also saw a potential to introduce and facilitate evaluation as a best practices within the city’s processes. With that in mind, Tulane PRC developed KidsWalk Coalition and chose to evaluate infrastructure around schools. This provided a way to garner support from both local neighborhoods and the city’s government by providing a method of documenting the effects of the city’s investment in schools. By planning an approach that would appeal to multiple stakeholders, the initiative ensured that its efforts would build a foundation for sustainable success. KidsWalk Coalition included active participation and representation from multiple sectors and disciplines, including local schools, businesses, elected officials, youth organizations, city and state government agencies, policy and advocacy organizations, and community- and faith-based organizations. Two unique partnerships united those diverse players and set this initiative up for meaningful community change. First, because the Coalition was housed at the Tulane University Prevention Research Center, there was a unique opportunity to integrate the work of an epidemiologist. This allowed Tulane PRC to study bike lanes, bicycle parking, and walking infrastructure that had been installed as a result of local advocacy efforts and KidsWalk Coalition’s Complete Streets. The bike lane studies were especially successful since they focused not just on how many miles of lanes had been installed, but also on who was using them and where. KidsWalk also had a unique relationship with the New Orleans Department of Public Works (DPW). The HKHC Principal Investigator was located at Tulane PRC, while the Transportation Planner was physically located in DPW. Together they were able to facilitate and expedite requests for active transportation infrastructure improvements from advocates and residents. They served as liaisons between the city and the community to support active living. They were also able to more efficiently monitor the implementation of projects and evaluate some, too. With a major focus on active transportation, they generated reports on school site assessments, as well as leveraged over two million dollars in Federal Safe Routes to School funding from the Louisiana Department of Transportation and Development over the course of the initiative for sidewalk and connectivity improvements, signage and other streetscapes. A key communications strategy for the KidsWalk Coalition was the development of the Stepping to School Report in 2011, which was the first of its kind in New Orleans. Before it was released, there was no evidence that city funding for active transportation led to improvements in the built environments around schools. The evaluations in this report provided evidence that helped to make the case for the benefits of active transportation. For example, the evaluation of one particular bike lane installed along a sidewalk found that there was more than a 300% increase in people walking and biking, not just on that bike lane, but also in the area around it. The data not only showed the value of active transportation, but also the value of putting a system in place to collect that data. As their work continued, KidsWalk partners recognized that while the initial Stepping to School Report was a helpful document for the coalition and its partners, it hadn’t garnered much public attention. The coalition revisited the data, and the report was updated and re-released in 2014. After three years of tracking active transportation infrastructure improvements and emphasizing pubic participation, increased public reception of the updated report demonstrated community mobilization around the coalition’s goals. The success of KidsWalk Coalition’s work owes much to its commitment to developing a culture of learning both internally and within New Orleans’ city staff and community members. In addition to using the data collected throughout its work, the Coalition, which consisted of diverse, issue-based organizations and communities in New Orleans, provided input for the reports. In fact, during the writing process for both the 2011 and 2014 releases of the Stepping to School Report, nothing was published that the Coalition didn’t have direct input in or felt was truly representative of their organizations’ or communities’ needs. The Coalition also served to demystify the city’s decision-making processes by providing an entry point, via its meetings, for community members to attend and engage with the city’s representatives and officials. KidsWalk also served as a role model within the city and state, generating a culture of learning through the example that it set. Over time, members of the coalition were seen as experts by the departments of public health and public works due to the strong foundation and broader awareness that the coalition had generated in terms of data, resources and experience around active transportation strategies. When New Orleans won the Robert Wood Johnson Foundation’s Roadmaps to Health Prize in 2013, the city had been working on Fit NOLA, an initiative to make New Orleans one of the top-10 fittest cities in the country by 2018. As the HKHC grant that funded KidsWalk Coalition drew to a close toward the end of the same year, numerous Fit Nola committees sought the expertise of partners who had been involved in KidsWalk. In this role, they helped shift Fit NOLA’s frame from individual health choices toward a broader policy, systems, and environmental perspective. And in the first regional Safe Routes to School (SRTS) grant that Louisiana had ever received, the city was funded to work with schools and more firmly establish education around walking and biking. In large part because of earlier collaboration, partners could more easily mobilize and compete for funding opportunities like this one. The overall grant dedicated $150,000 to education and set aside $50,000 to work with the New Orleans Police Department to establish an SRTS guidebook to train volunteers and community members as cross-walk guides. The guidebook will recommend best practices from other states to certify community members and build capacity within the police department. In December 2011, the City of New Orleans passed a Complete Streets policy, a first for the state of Louisiana. This policy provided clear direction for the DPW when making improvements to the city’s transportation infrastructure, including planning for cyclists, pedestrians, transit users, and motorists when upgrading or planning new streets. This was a major accomplishment, since it was the first time the city had ever openly invited community partners and coalition members to be involved in developing a major active transportation policy. The City Council’s then Transportation Committee Chair established an informal transportation working group of representatives from city agencies and departments like the City Planning Commission, the Department of Public Works, and the New Orleans Health Department. Also included were citywide nonprofits including KidsWalk Coalition, the Louisiana Public Health Institute, Ride New Orleans and Bike Easy. KidsWalk Coalition also built on the partnerships it had developed over the years to find ways to institutionalize its processes through systems changes. When the updated Stepping to School Report was released, a few city council members embraced it. Among them was Latoya Cantrell of New Orleans City Council District B, whose district had been rocked by a high-profile student fatality at a school bus crossing. Cantrell launched a school-based transportation safety committee based on the belief that lack of pedestrian safety was a design issue rather than an inevitable fact. This was one of the first times that a council person had created an institutionalized committee, and KidsWalk Coalition partners were critical members of it. Although the formal KidsWalk Coalition has ended, its work has been sustained and has grown into the city’s processes. Through the school-based transportation safety committee, SRTS has not only been institutionalized, but the city has also committed resources and hired a STRS coordinator housed within the Health Department who will continue to help the city sustain and grow this work. Coalition members from Tulane PRC and other partners have continued to be engaged, not only on that committee, but also on the recently established (through a City Ordinance) Pedestrian and Bicycle Safety Advisory Committee, which provides the new City Councilmember and Chair of the Transportation Committee with recommendations. As New Orleans continues to recover from Katrina and moves on to a broader vision, the legacy of KidsWalk Coalition will continue to shape a culture of health around active transportation in each of New Orleans’ unique neighborhoods. Throughout this story, references may be made to Active Living By Design.  In April 2018, the organization adopted its new name, Healthy Places by Design.